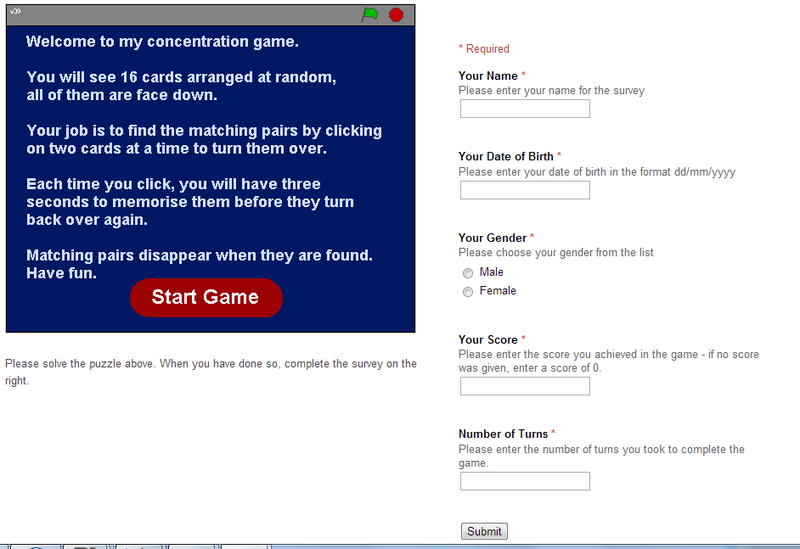 In this example, respondents were asked to complete a puzzle and then fill in the form so that their performance could be compared and analysed. We can make the lifecycle model as simple or as complicated as we need. What ares do you want to assess?